It is easy to lock a machine down, disable the floppy, and cdrom in the bios. Many times when you try to disable USB - it disables it entirely. This can be a real pain on newer laptops or systems that don't even have a PS2 interface for the mouse or keyboard. 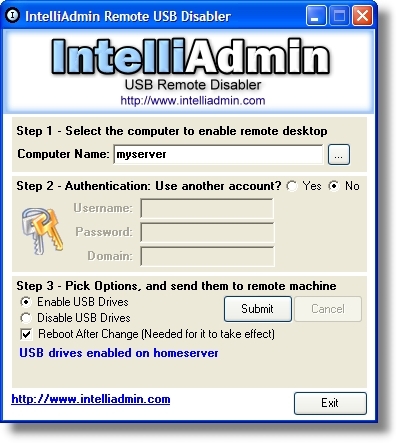 This simple program can remotely disable USB memory sticks without interfering with USB based mice, scanners and printers.